skyworkscrane.com | No job is too big or too small! 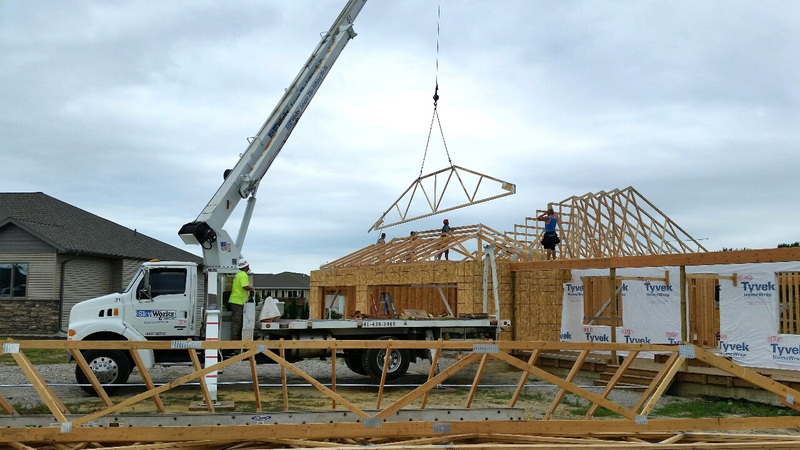 SkyWorks Crane Inc. is a locally-owned crane and rigging service that specializes in commercial, residential and construction lifting and hoisting. The fleet includes an 18-ton Altec crane which can reach up to 120 feet and has a 7-ton lifting capacity. SkyWorks Crane Inc. serves the North Iowa area and is available to assist you with your lifting and rigging needs. Leave the lifting to us.